Gaffa Gallery, Level 1, 281 Clarence Street Sydney CBD Opening night tonight, Friday 13 November 2015 Gaffa is hosting this fundraising exhibition to raise funds which will go towards their 10th birthday celebrations in 2016. They have asked artists who have exhibited with Gaffa in the past if they could please donate a reasonably sized, ‘take away’ work in any medium for inclusion in the exhibition. 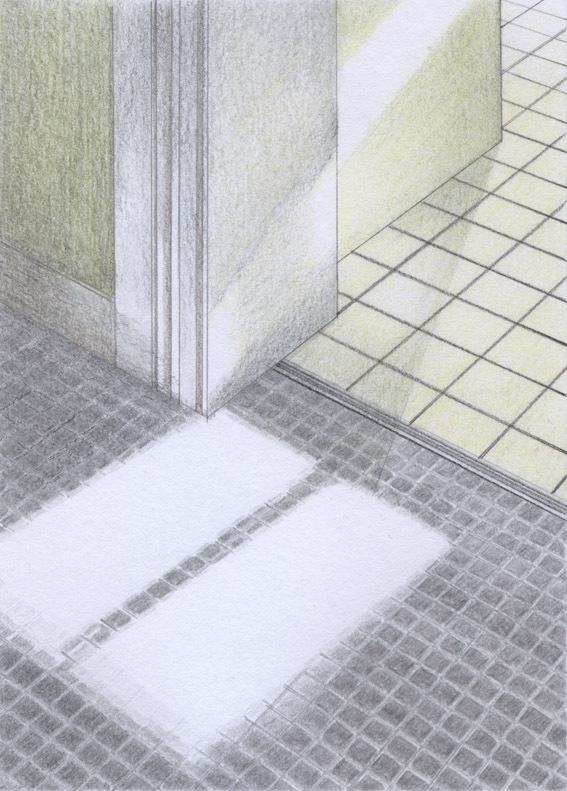 I have donated this small graphite and colour pencil drawing of early morning sun shining through the glass panels of the back door onto my kitchen floor. All the works will be priced $150 and under so get in quick to make those special original purchases for Christmas or just to adorn your own walls at home! Please come along to support Gaffa and all the artists it represents – it’s going to be a fun night with lots of giveaways and prizes to encourage you to buy. Hope to see you there tomorrow night! Opening night tonight, Friday 13 December 2015 I am participating in this Central Coast annual group exhibition once again this year with 15 framed artworks in the show and also a collection of unframed works for sale (including watercolours, pencil drawings and linocuts). I will also have a range of Christmas cards and general greeting cards for sale featuring some of my original images. Tomorrow is Opening Night from 6.30 – 9.30pm, there is a $5 entry fee which includes refreshments. There will be a diverse range of artwork and crafts on display and for sale as well as raffles to raise money for the Wyongah Progress Hall which is widely used by the local community. The exhibition will also run over the weekend of 14 – 15 November 2015 from 9am – 3pm (with a gold coin entry fee). So please go along to support this local community if you live in the district or are going to be up that way while the exhibition is showing … and you might just find some very special original Christmas presents! 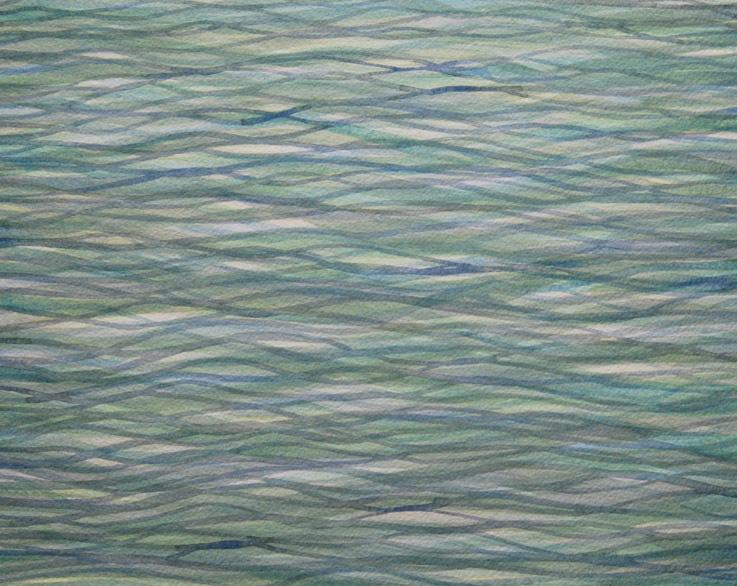 I am showing one of my watercolour paintings in this annual ‘Themed’ group exhibition at Shorethyme which opens on Tuesday 24 November and will run till 6 December 2015. 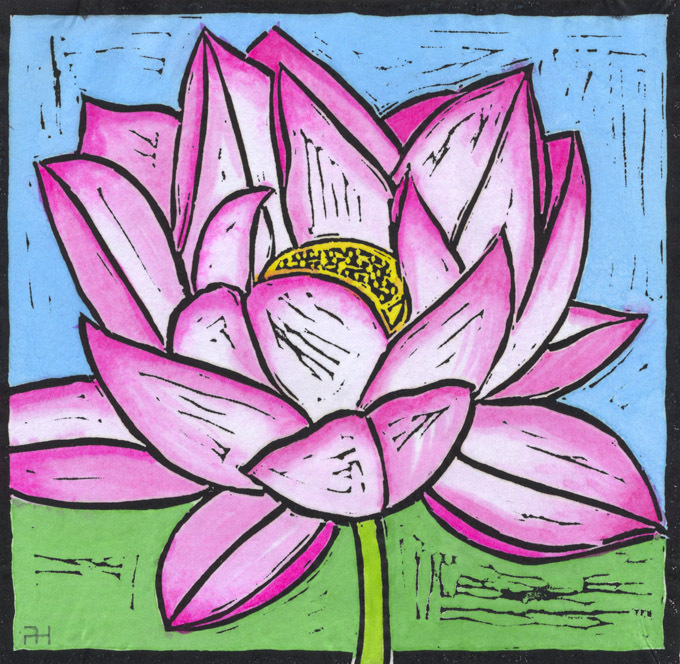 This year the theme of the exhibition is ‘Harmony’. The restaurant has excellent food (they also do a special 2-course dinner deal to follow drinks & nibbles on the Opening Night) and it’s a great gallery space too. Please drop in for a look if you live in the Central Coast district or happen to be up that way for Opening Night or while the exhibition is showing. It’s a lovely place for a weekend drive … and you might just find that very special original Christmas present!